This entry was posted in Academics, Travel, Work and tagged Academia, ethnography, travel on 28 December 2015 by peashoot. 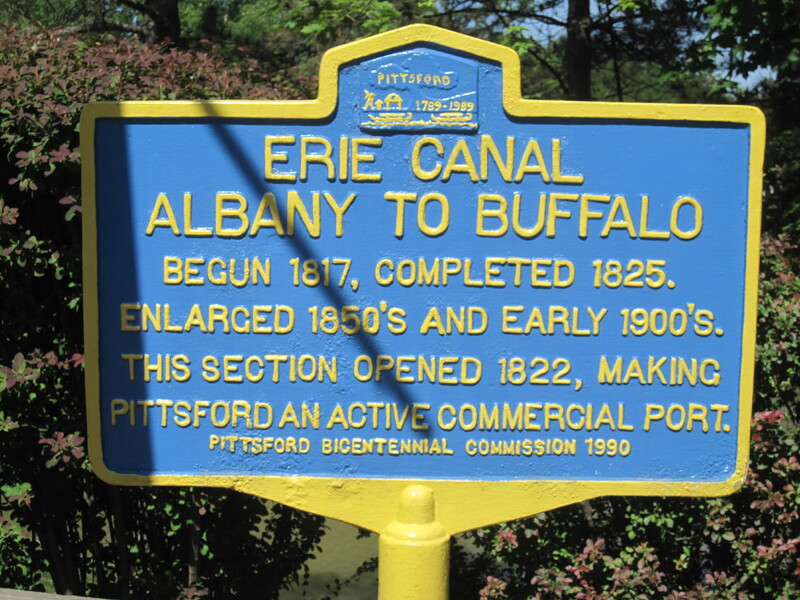 This entry was posted in General News, Travel and tagged Erie Canal, Lock 32, New York State on 2 July 2014 by peashoot. 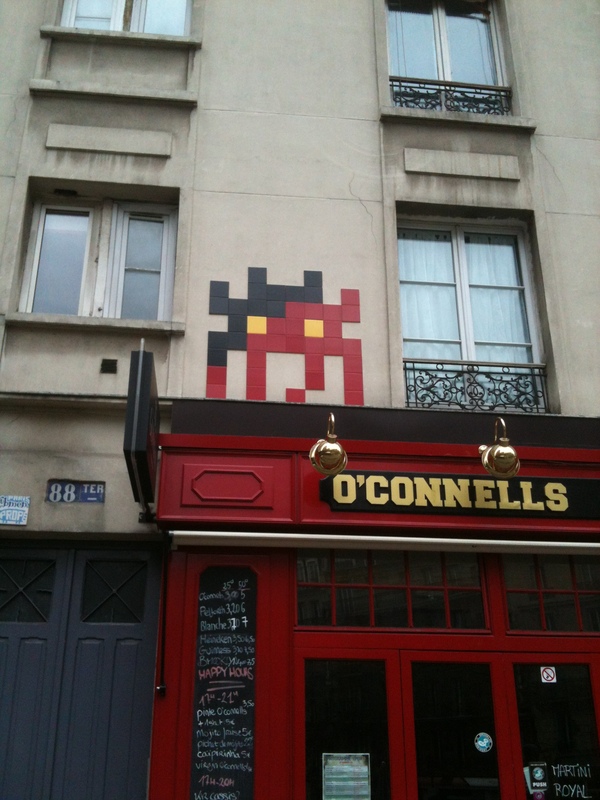 La artiste Invader a de nombreux des pièces de «street art» à travers la ville de Paris. La plupart d’entre eux sont des images éponymes: c’est, ses œuvres sont images qui reflètent l’origine de son nom, qui lui-même est basé sur le jeu vidéo de 1978, «Space Invaders». Donc, vous voyez les petites créatures extraterrestres de ce jeu collées dans tout Paris, ainsi que d’autres villes, comme celui-ci au-dessus du pub à quelques portes de là où nous vivons. 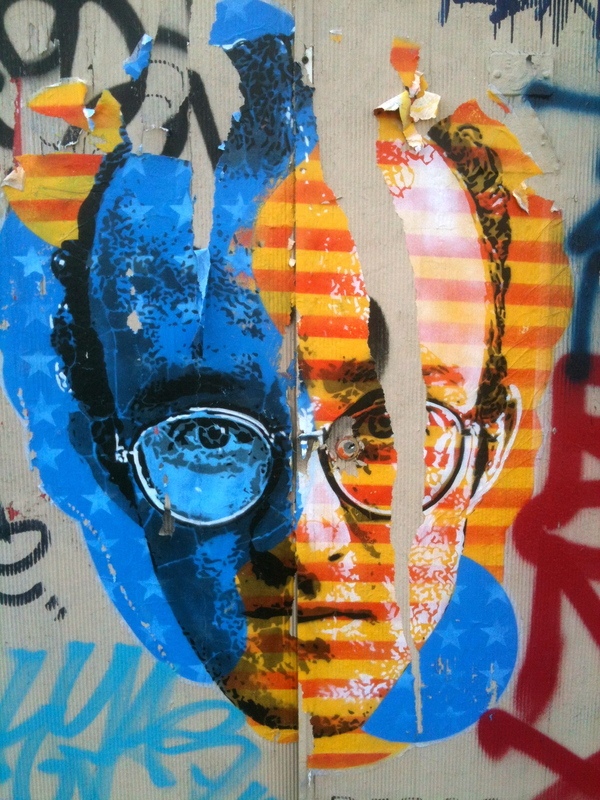 Contrairement à beaucoup de street art de nos jours, qui sont préfabriqués «paste-ups» qui ne durent que si long selon la météo et le vandalisme, les œuvres d’Invader sont des mosaïques. Ils sont faits de tuiles. Donc ils résistent aux éléments bien. Et ils sont souvent placés à des hauteurs bien au-delà de la portée des fêtards ivres typiques. Donc, à Paris au moins, on peut trouver un nombre de pièces d’Invader, qui semblent être relativement ancienne (par exemple, la collecte de la poussière, de la suie et la saleté de l’échappement des véhicules de la ville). J’ai vu ce que je présume sont les œuvres de Invader dans d’autres villes aussi, y compris New York, Londres, Amsterdam, Bonn, San Diego, et Manchester (je suppose que certaines de ces pourraient être copie-cat interprétations du style de Invader). Néanmoins, Invader est très prolifique. À travers l’allée de la porte d’entrée de notre bâtiment à Paris, cette image est apparue il ya environ quatre semaines. C’est une mosaïque de tuiles, avec le genre de couleurs qui évoquent immédiatement le travail de Invader. Mais il est très bas à la terre – en fait, Ronald McDonald est dépeint comme debout sur le trottoir entre les piétons. La pièce est aussi ouvertement politique, que beaucoup (sinon la plupart) de ses œuvres sont pas (ils pourraient être d’ordre politique, par exemple, par rapport à l’endroit où ils sont placés, mais comme «critique sociale» la plupart de ses oeuvres me semblent plus ludique que politique — quelqu’un de plus compétent que moi peut me corriger sur ce point). Il ya eu beaucoup de presse dans les quotidiens de Paris ces derniers temps sur l’évolution de la consommation alimentaire des Français, et comment fast food a des effets négatifs sur les jeunes hommes et femmes françaises, à la fois physiquement et culturellement. Notre quartier se trouve également être un cœur de vie nocturne parisienne pour 18-35 ans, et du jeudi au samedi, il ya consommation d’alcool beaucoup ici, par conséquent, les matins des vendredi, samedi et dimanche, il ya de nombreux «pièges vomissent» (vomit traps) nous, les résidents de cette quartier, doivent esquiver. 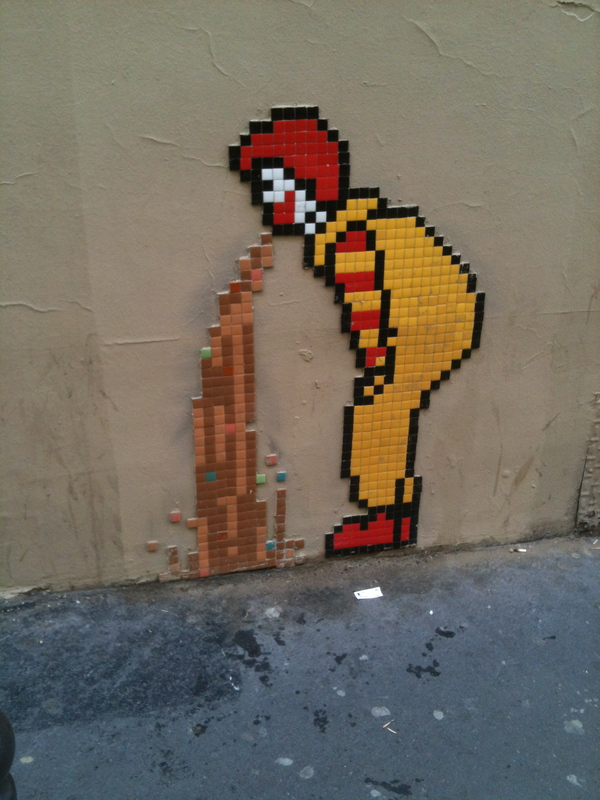 L’image montre clairement le sentiment de l’artiste apropos la qualité de la nourriture McDonalds et ses effets sur les personnes qui la consomment (qui mieux que Ronnie McDo pour illustrer que nous sommes ce que nous mangeons, après tout!). J’aime à penser que la pièce fustige aussi les buveurs dans ce quartier comme des amateurs, qui sont dans un égarement évident concernant le pouvoir et les seuils de leur consommation d’alcool. 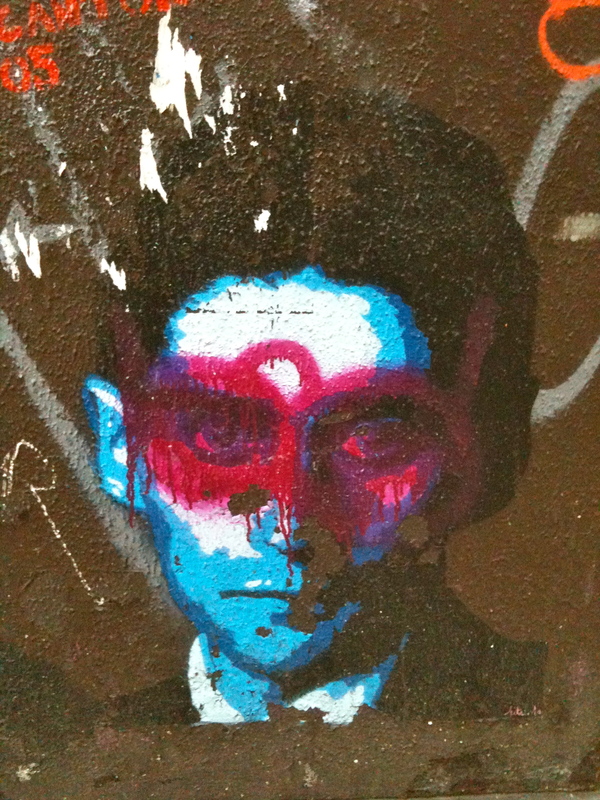 This entry was posted in Art, General News, Society, Travel and tagged Invader, Paris, social commentary, street art on 20 June 2013 by peashoot. Four folks with whom I’ve been making lots of eye contact lately. Recognize any of them? 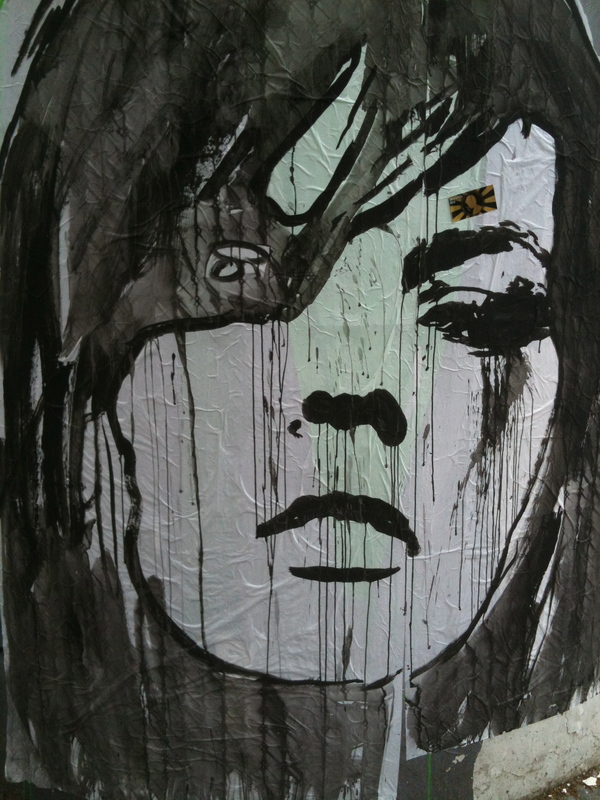 This entry was posted in Art, Travel on 17 June 2013 by peashoot. This entry was posted in Nature, Travel on 13 June 2013 by peashoot. Like the countless other people who were in the same predicament I was in, I took cover under a collection of trees, most of which are by now bushy with lots of leaf-coverage and providing some respite from the numerous spring rains in Paris. After ten minutes loitering under some trees on the westside, admiring two tennis players play through the torrent, I darted across the garden, in front of the senate building and the soaking wet security guards, with my umbrella flipping inside-out repeatedly, until I got to the eastside. There, I cosied up to another group of people who were waiting out the rain, when I noticed a group of people gathering around a nearby gazebo. I checked it out, and discovered an orchestra tuning up for a concert. It was cold, about 40 degrees Fahrenheit, and still raining. Nevertheless folks of all ages were there, umbrellas in hand, waiting for the music. In an ironic gesture to the winter-like weather enveloping Paris right now, I expected to hear Stravinsky’s Le Sacre du printemps (in any case, the song is ubiquitous in this city in the springtime, written as it was for the 1913 Paris season of S. Diaghilev’s “Ballets Russes” dance company). It turns out, however, the orchestra was short a few players. They were waiting on a trombonist, whom I saw hurriedly arrive by bus, and a couple other players (of which instruments, I don’t know). I couldn’t wait around to see the show unfortunately. But I was able to capture a few minutes of the players warming up and the conductor checking the tune of each section of his team. I actually enjoy this part of a symphony quite a lot, almost as much as the performance itself: all of the players blurting out sounds discordantly, and yet it’s never painful or irritating to hear. It’s especially satisfying when, after listening to the musicians tuning up individually, a collective silence abruptly descends on the group, and then the formal start of the first piece commences; the conductor’s carriage becomes composed, determined, and decidedly indicative; sonic discordance becomes congruous and harmonious music. It’s magical, really. In the end, I caught only the warm up. So I neither saw nor heard the transition to the musical score. I don’t even know what program the distinguished looking group eventually played. But perhaps you’ll enjoy this critical prelude to the show as much as I did. This entry was posted in Music, Travel on 26 May 2013 by peashoot. In April I had the good fortune to spend a day in the southern Swedish city of Malmö. I’d never been there before, and though I had a handful of interesting reasons to spend a day there I never expected to be so enthralled by the place. With Copenhagen as my base, I got a bike, hopped a train, and after a quick twenty-five minutes traveling under the Øresund, I emerged in Malmö. I took care of business and by bike saw a lot of Sweden’s third largest city, the capital of Skåne County and home to the HSB Turning Torso (the largest skyscraper in Sweden and the Nordic countries). I was quickly taken by the old town, its markets and cafés, pubs and music stores. The buildings were colorful, too, which I rather like, and somehow they retained a sense of fecund floral life even in the cold and rainy springtime weather that I encountered. There is a lot more to say about the architecture and the people, both of which, for their charm and attractiveness, left an indelible mark on my memory and imagination that, before too long, I hope will drive me back for a longer stay. What I’d like to mention here is something that I found really extraordinary in the city: the art. There’s excellent modern art in Malmö, no doubt. And not just at the Malmö Konsthall, which Wikipedia bills as “one of the largest exhibition halls in Europe for contemporary art” (who would have thought, in Malmö, Sweden!). Malmö is also the setting of Bo Widerberg’s classic film, Kvarteret Korpen (Raven’s End — 1963), which was nominated for an Academy Award for best Foreign Film in 1965 (it’s about a young aspiring writer, Anders, who lives in a rundown, working class section of Malmö in the 1930s, and the struggles he faces to publish his first novel, escape the turmoil of his family life and ever-quickly demanding relationship, and move to the land of plenty, Stockholm). While I was preparing to leave Malmö, drenched from the rain, waiting for my underground train back to Copenhagen, I saw something that just floored me. 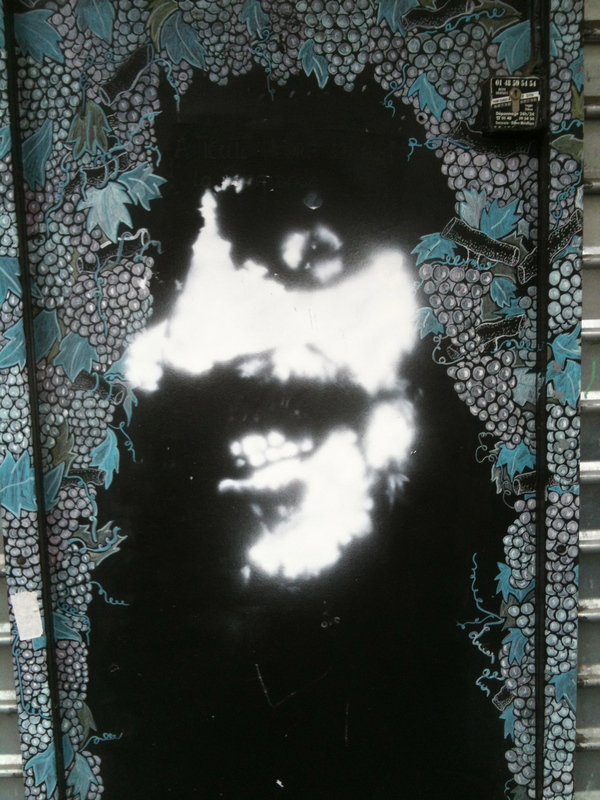 Across the tracks, on the grey cement wall, were images floating by, framed in the shape of an old photographic film reel. They weren’t still images, however, as I realized after a few moments. It was moving film footage, and on it there were people actively doing things–working, walking dogs, waving back at me!–and the people appeared to be in places from all over the world. It felt a bit odd that some of the people seemed to be staring at those of us who were on the platform looking at them. But after one scene would drift by, ever so casually, every four minutes (apparently the interval between trains arriving at the station), the scenery would morph into a new place, with new people, doing new things. Some of the locations looked familiar to me, but I can’t be certain, since there were no captions to let the viewer know where the footage was taken. But that didn’t matter. There was something utterly mesmerizing about the installation, and calming. That the artist could make me feel that way — and the folks with whom I spoke about it claimed to feel similarly too — in a cold, grey, subterranean subway station is quite a feat. I’ve since come to learn that the artist is Tania Ruiz Gutierrez, a French, Colombian and Chilean national, who currently lives and works in Paris. In terms of tempo, Annorstädes is conceived as a release for the individual viewer. The recorded images are slowed down, in contrast with the speed of everyday urban life, in order to ease the experiential flow of time. I took this short film of Annorstädes with my phone from the station platform. It’s not nearly as good as the several samples of footage on Ruiz Gutierrez’s website, like here and especially here. Dig around. There are a lot of worthwhile images and writings on her website. I haven’t been this captivated by a public art installation in a long time. To echo the comment of one visitor to the exhibit, that is, one Malmö subway rider (or perhaps as the artist herself would have it, one Malmö patron of both the arts and public transportation): “If you’ve seen Malmö, you’ve seen the world. That is now a fact.” Ruiz Gutierrez really pulled this off. Malmö as synecdoche for the global community! Genius. This work punctuated, in a sublime and lasting way, my visit to this southern Swedish city. I hope it’s still there when I return. This entry was posted in Art, Travel on 20 May 2013 by peashoot.